Welcome to People and Water - looking at our water networks. Explore the journey of water from its source to our tap and how this precious resource can be used more sustainably. This field trip is supported by Wellington Water. The field trip is from 23-25 May. Enrol now. Water is essential to life and is sacred to Māori. About 70% of the surface of the Earth is covered by water yet only one percent of this water is useable freshwater. With a growing population and increasing use of water, we all need to learn how to better manage this precious resource. Every time you make a drink, take a shower, wash the dishes, or go to the loo there is a story about where this water came from and another story about what happens to the remaining wastewater. On this field trip you will trace the journeys of fresh water, in particular drinking water, stormwater, and wastewater and relate these stories to the story of water use in your region and ultimately to your own water use. The capital city of Wellington is the perfect place to see how our water network operates. 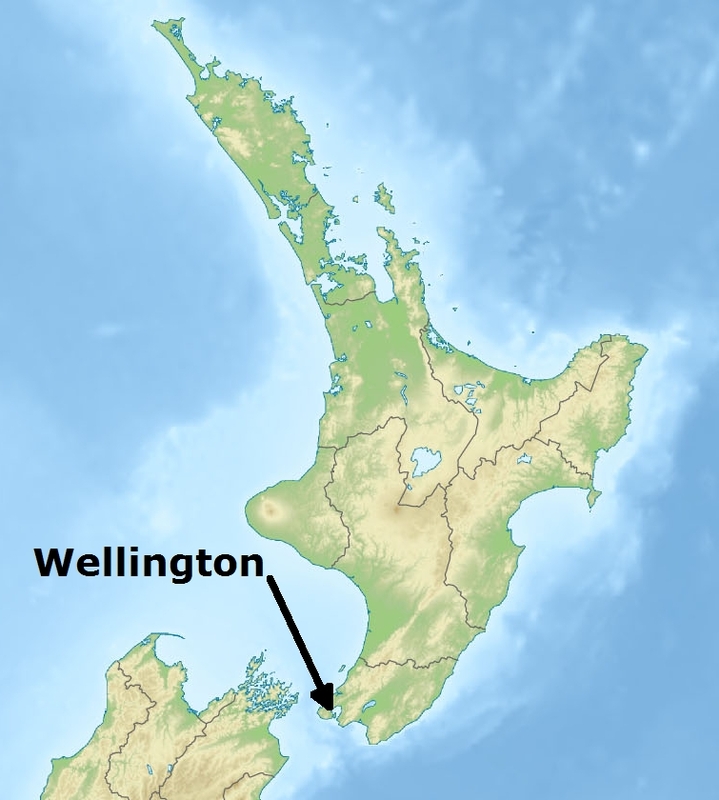 The Wellington area has a steady supply of water, but even Wellington can have water shortages. People in the Wellington region use an estimated 240 litres of water per person per day. This is a very large amount compared to people in other countries. During your field trip to Wellington you will explore a water reservoir and a treatment plant. You will look at how people can use water more wisely. You will discover what happens to water once it enters the drain and meet Wellington locals who are investigating different methods for managing and conserving water. Travel Day. Read the diary and the ambassador updates about the journey from Dunedin to Wellington to begin the People and Water field trip. Water From its Source to Your Tap. Read in the diary about the journey of water from its source to your tap. Watch the videos to see where drinking water comes from and how it is treated to ensure it is safe to drink. Read the ambassador updates and listen to the recorded web conference. Managing Wastewater. Read the diary to discover what happens to water once it goes down the drain. Watch the videos to see how the wastewater treatment station works and look at ways to save water. Read the ambassador updates and listen to the recorded web conference. How to Use the Water Network More Responsibly. Read the diary to find out more about stormwater. Watch the videos to see how to keep stormwater clean and how you can help look after our water network. Read the ambassador updates and listen to the recorded web conference. Monday 22 May Newsletter 3 was sent to all enrolled classes. Monday 24 April The People and Water background pages and their easy reading versions and student activities are now online. Monday 24 April The People and Water field trip website is now online.